Since we had rain all weekend long, I welcomed the time spent indoors. Besides going to the gym in the morning, I didn’t leave the house or changed from my lounge wear for a whole day. Instead of watching movies all day long, which I love to do on lazy days, I baked and cooked instead. I baked and cooked food that I can prepare and freeze to save up for the sunny days ahead when I don’t want to spend time in the kitchen. When it’s beautiful day outside, I don’t want to stay in and spend my time next to the stove or waiting for the timer to go off in the oven. I’d rather be outdoors, running or go for hikes or go lounging at the pool. You know I love to make home-made snack bars. I prefer them over store-bought ones because I can control the ingredients, especially sugar. I don’t like it when it’s too sweet. I try to make them often. Here are the bars I’ve made before that I have posted on the blog – > Almond Energy Nut Bars, Pumpkin Coconut Raisin Bars, and Lemon Date Oatmeal Bars. I’ve had a few bad batches that I didn’t post on the blog, they either came out too crumbly or rock hard. 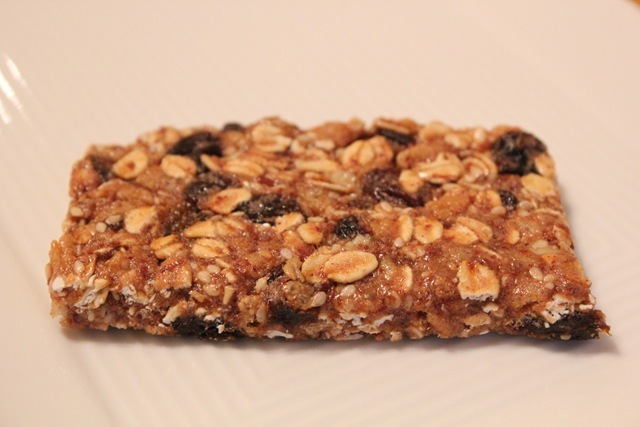 I called these energy oat bars because they give me energy pre-workout. I eat half of the bar before working out because I can’t run with too much food in my stomach, and I eat the other half after my workout. 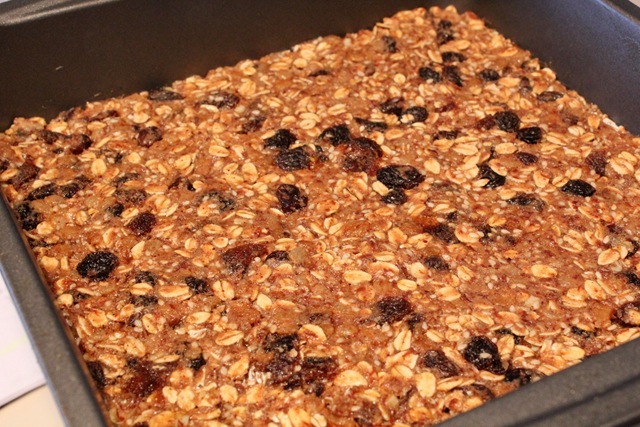 – Spread oats, cereal and sesame seeds in a 13″ x 9″ nonstick baking pan. Bake and stir occasionally, until oats are toasted, about 15 minutes. Note: watch it very closely because they burn fast. I burnt my first batch. Watch me closely, I burn fast! 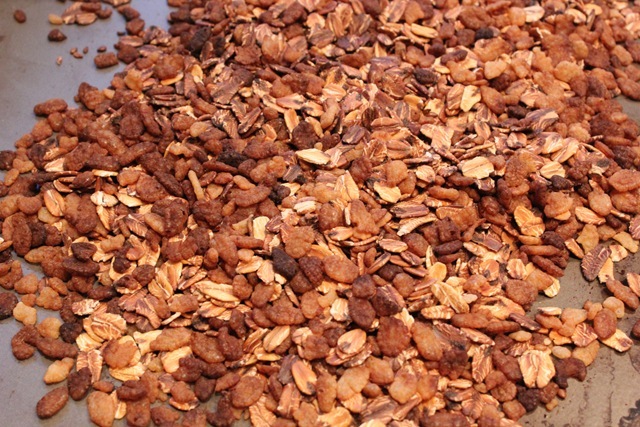 – Chop apricots to small pieces and transfer to a large mixing bowl. Add raisins, protein powder, flax meal and the oatmeal mixture and mix all together. – Lightly coat 8 x 8 baking pan with cooking spray. 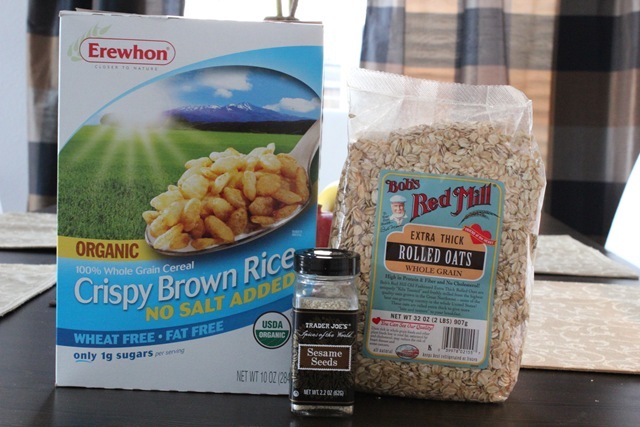 – Put brown rice syrup in a heavy saucepan over medium-high heat, bring to a boil. 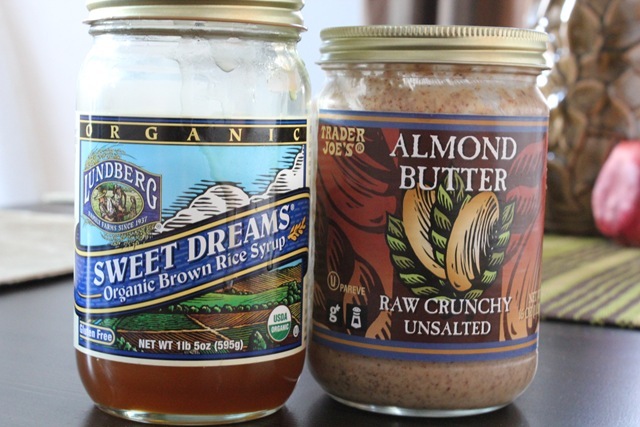 Reduce heat to low, stir in almond butter, vanilla and cinnamon. Quickly pour syrup over oatmeal mixture and stir well. – With wet hands or spatula, immediately spread warm mixture into the pan, pressing into a thin, even layer. Note: press them quickly because the mixture will harden if you do it too slowly and it will be difficult to spread. Chill until firm, at least four hours. – I wrapped the bars in plastic wrap and stored in an airtight container in the refrigerator. I refrigerated a few and froze the rest for longer storage. These are chewy and a little sticky, with crunch from the crispy cereal. Toasting the dry ingredients first really adds a good flavor to the bars. They are best eaten at room temperature, so I take them out from the refrigerator when I wake up and put it on the counter while I make coffee. About 10 minutes later, they are soft and ready for eating. 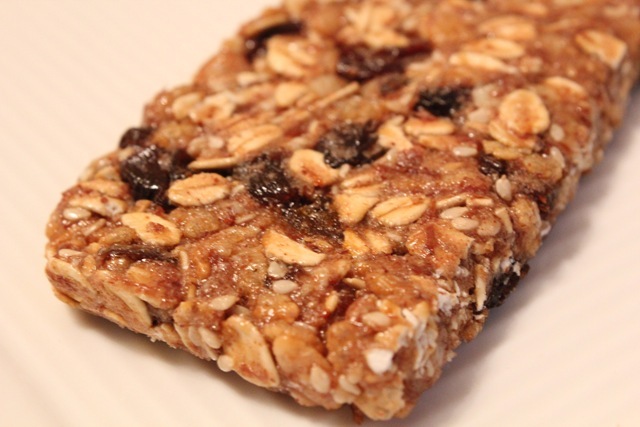 How often do you make your own snack bars? What’s your favorite recipe? You and me both, we are such homemade snack bar lovers. I wish we can open a bakery together, lol! I love making homemade granola (that’s how it almost always ends up as because I’m awful at mixing it enough to stick together!). These look yummy! I need to make some home made bars again, its just that I have so many store bought bars to use up right now, I need to wait! So they were a bit crunchy. *blushes* but heck my friend liked them I would hold back a bit on the sweetness, so I know what you mean having control of that. 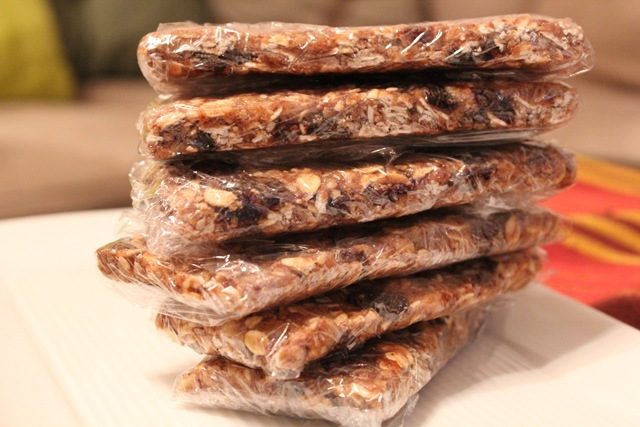 I honestly have not ever made my own snack bars, but those look great! Cant wait to try these, and the lemon date ones as well – you have a great blog here !